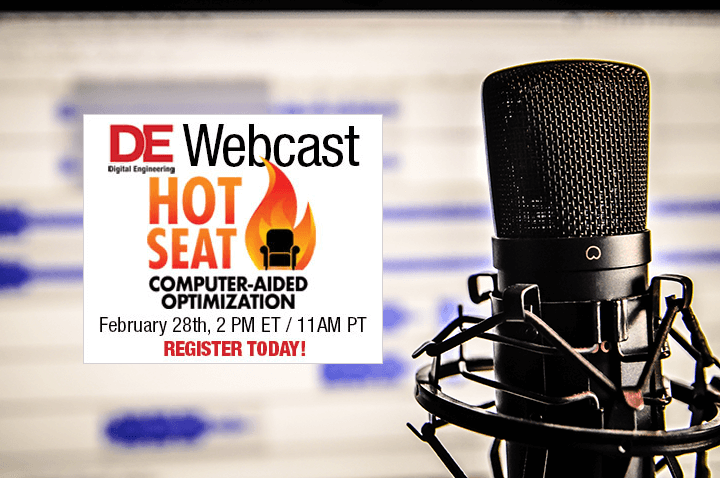 On Thursday, February 28, Matteo Nicolich, Principal Product Manager at ESTECO, will take part in the new Hot Seat webcast series presented by Digital Engineering, together with the representatives of COMSOL and Altair. The panelists will discuss the importance of automation in the future of design engineering, the new role of the human engineer, and the precision of the software-proposed designs. Traditionally, design engineers take the lead in defining the shape of a product. But the emerging computer-aided optimization, topology optimization, and generative design tools take the opposite approach, giving the software unprecedented autonomy to define the design geometry. In the premiere episode of this brand new webcast series, Digital Engineering puts ESTECO, COMSOL and Altair in the hot seat to discuss the following: How can design teams trust the software-proposed designs? What is the role of the human engineer in the new workflow? What does automation mean for the future of design engineering? Webcast attendees are invited to submit their own questions concerning generative design, topology optimization, algorithm-driven optimization so the panelists can address them in the webcast.